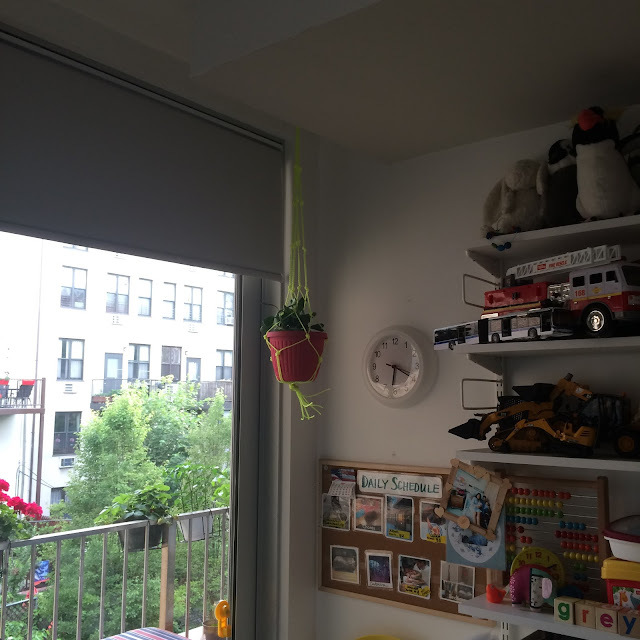 I never thought I'd want a macrame plant holder. Those thick brown macrame holders from the 70s with earth tone wooden beads were the worst. 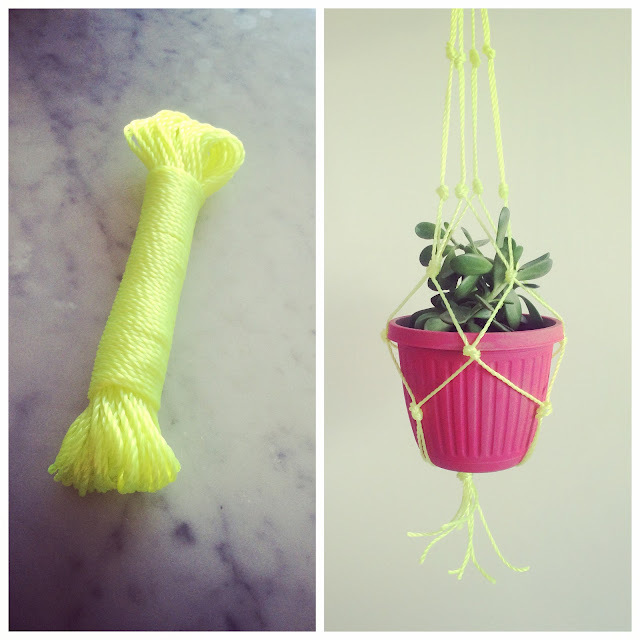 Neon, however, gives macrame an updated feel. I've seen them online for sale and posted as tutorials. After deciding it couldn't be hard to make my own, I found some neon rope at the dollar store. I followed this tutorial after searching around for the simplest explanation and the promise of a 10-minute project. You can size your plant holder up or down by following the format discussed in the video. You could make a mini holder for a tiny container using twine. That'd be cute. For my 50 cents of rope and just a little time, I'm pretty happy with this little holder that keeps my surfaces and floors clear.